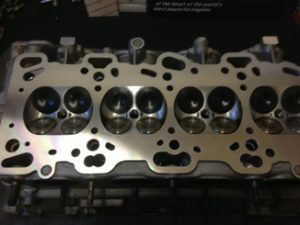 In addition to the 400bhp build engine this has standard con-rods replaced with our own NMS designed Farndon H section con-rods. 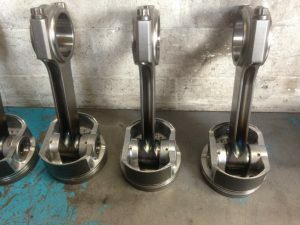 These are manufactured with an interference fit gudgeon pin so that we can use the original Mitsubishi Evo pistons (or 0.5mm oversize Mitsubishi pistons if rebored) We have the facility to remove the original pistons from the std con-rods without damage and refit them to the new Farndon rods. The block is built up using ARP studs for the main bolts rather than the standard items. For vehicles that will be used on track we offer an AMS winged and baffled sump, and the option of removing the balance shafts, but neither are required for a road car.